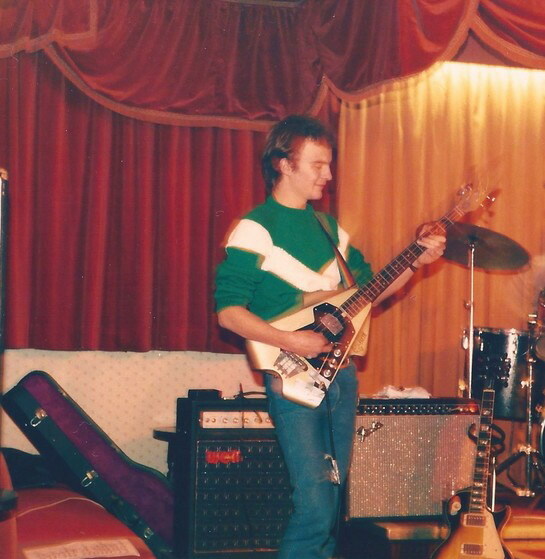 Burns UK appeared in 1974 and lasted until 1977. 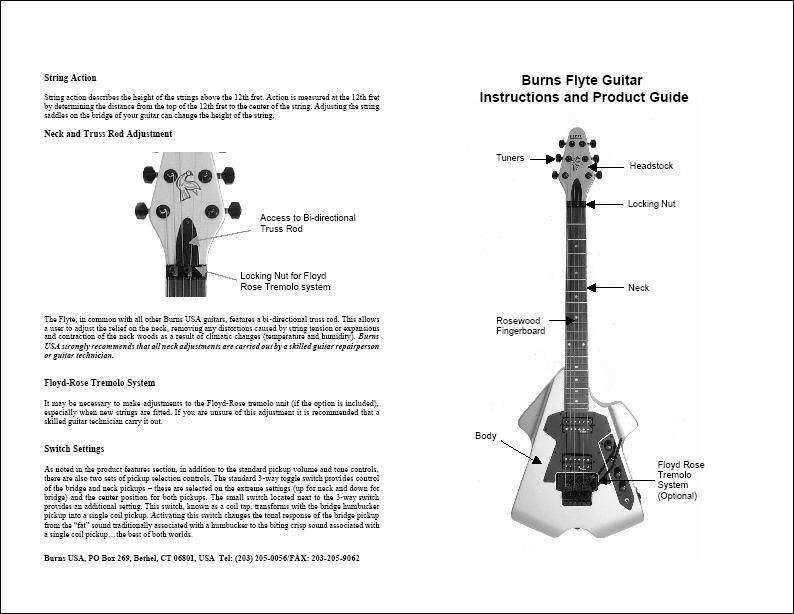 Burns UK guitars were not made in London, but instead were manufactured close to Newcastle upon Tyne in Jim Burns' native north east. 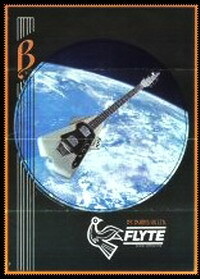 Only one guitar model sold well, The Flyte, which was originally to be named the Conchorde, after the supersonic plane, because of its shape. 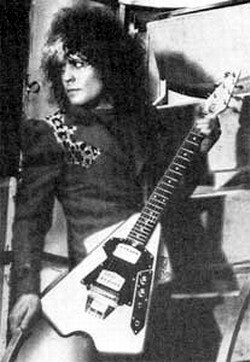 Its design proved popular among glam rock performers of the time, such as Slade and Marc Bolan. They were also used at the time by Australian band Sherbet, most notably on their "Life... Is For Living" album, where they were acknowledged on the back sleeve liner notes. 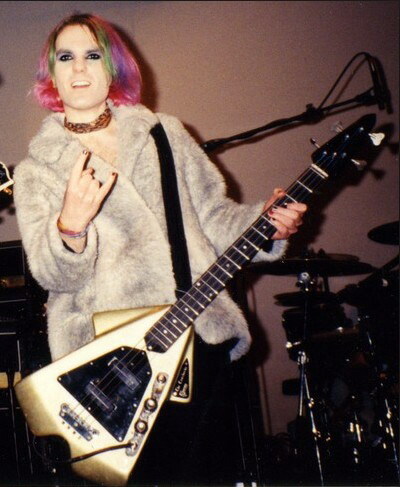 Despite their unconventional design (which often added to the production cost), the guitars had a rather conventional sound, and again Burns ceased to produce guitars--but not before of few examples of the Burns Mirage, the successor to the Flyte, had been produced. 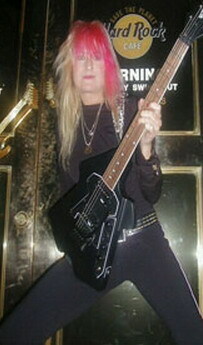 Burns is most famous for the guitars he created before selling his business to Baldwin Piano and Organ Co. in 1965, including the Bison, Hank Marvin, and Jazz Split Sound (with the Wild Dog setting. But his career continued, off and on, until his death in 1998, and along the way he left a number of curious instruments, including this stealth-shaped ca. 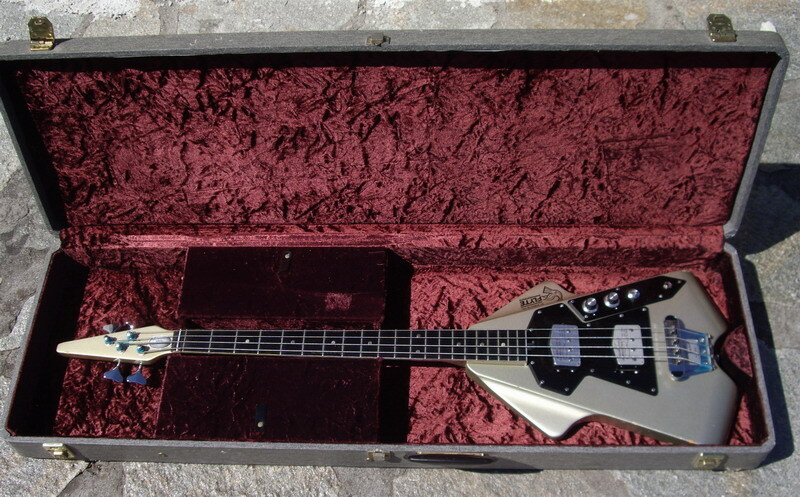 1976 Burns Flyte. But it wasn’t stealth aircraft that inspired the Burns Flyte, rather it was the supersonic transport (SST) – the “Concorde.” The Concorde was conceived in ’62 and begun as a joint project of the U.K. and French governments. The maiden voyages of the first Rolls Royce-powered prototypes occurred in 1969, and in January ’76 the first commercial flights commenced, to great media fanfare (and environmentalist protest due to its extreme volume). Indeed, the Flyte was originally to be called the Conchorde, although it’s not known if any were ever produced under this name.The Flyte was Burns’ first design under his own name after he sold the business to Baldwin. 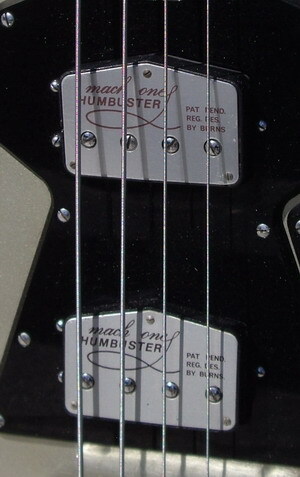 In between, he worked for Dallas Arbiter, which produced his Hayman line of guitars in the early ’70s.Following the demise of that company, in ’73 Burns hooked up with an outfit in Newcastle and began to work on guitars to be sold with the brand name “Burns UK Ltd.” There, the Conchorde/Flyte was developed and introduced in ’74. 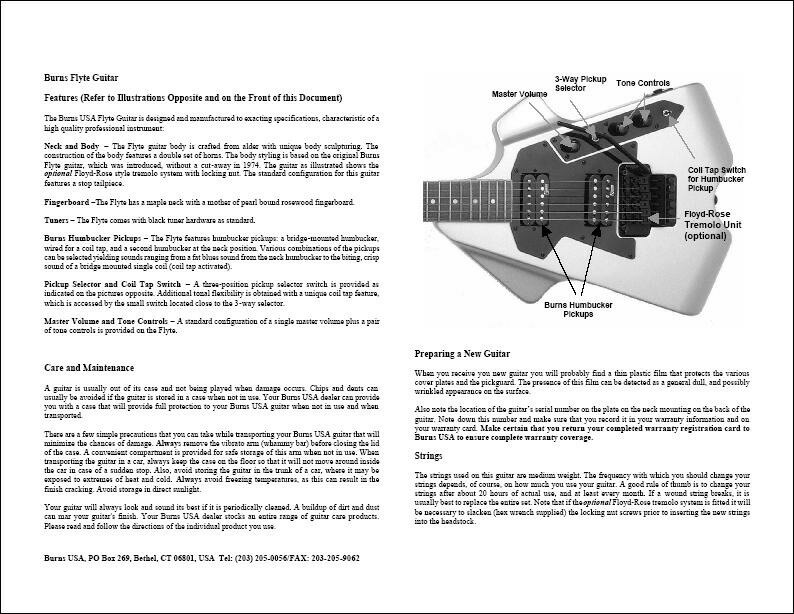 Basically, the guitars were made by Shergold and the electronics by Re-An.Coming at the height of the “copy era,” the Burns Flyte was a pretty radical design for 1974. Its symmetrical, bi-level, swept-wing body styling and sharply pointed head were truly supersonic. 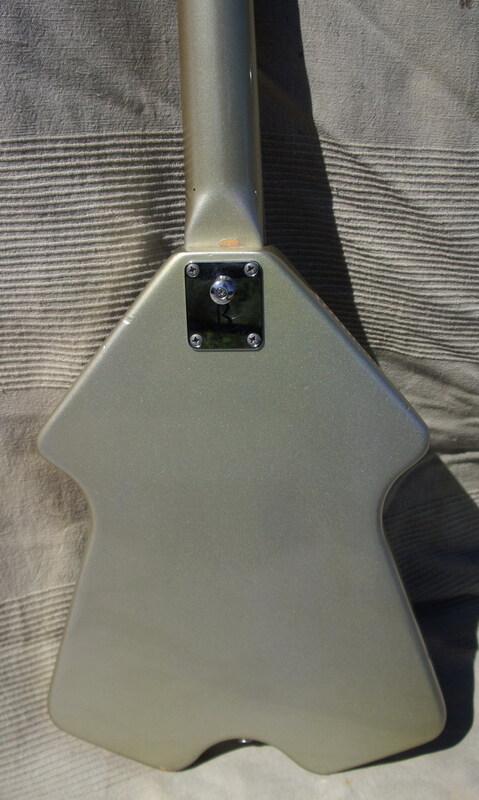 The body was mahogany, the bolt-on neck maple. At least some of the fingerboards were, oddly enough, ebonized maple. 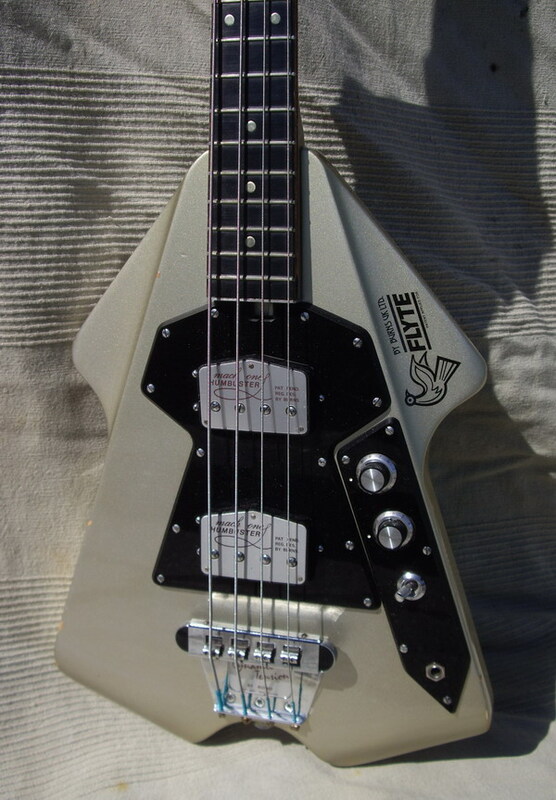 The Flyte was outfitted with twin Mach One Humbuster humbuckers with unusual five-sided metal covers.Building on some of Burns’ ’60s ideas, the Flyte had a Dynamic Tension bridge assembly with individually height adjustable saddles on a bridge plate. These came in several shades of silver, white, natural, and even with Union Jack graphics. 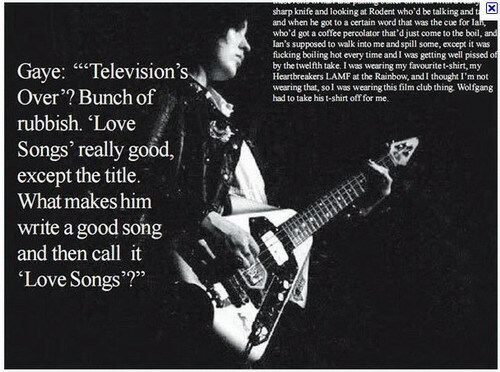 On 17 February 1976, T.Rex performed new versions of London Boys and Telegram Sam. For the former, Marc performed atop a revolving Perspex stage; for the latter, he emerged – a little unsteadily - from a make-believe rocket. 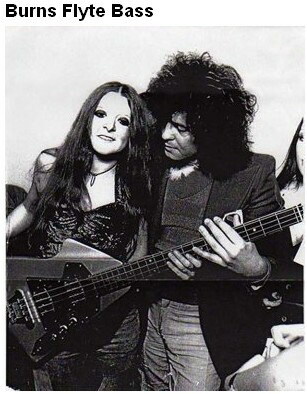 For both he was sporting a bleached streak at the front of his hair and toting a Burns Flyte guitar.Bolan seems to have struck a deal with the guitar manufacturers as he was also featured in the Daily Mirror, giving the guitar away in a competition. 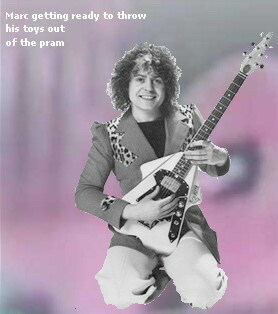 The relationship was presumably short-lived as Bolan flung the instrument from the stage at the end of London Boys.